A hog roast hire Uckfield chef could be the difference between months of ridicule from work colleagues or a pat on the back and a promotion from the boss. You don’t really want to inflict terrible food on your workmates so make sure you really do something impressive, extravagant and extremely brilliant. Hog roast would certainly tick all those boxes. You could say that hog roast was the first works catering meal as it would have been cooked many a time at important banquets, and whilst your guest list may not have lords, ladies, kings or queens on it, the people who will be attending will be no less important in your life. 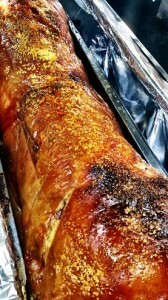 All the more reason to delight and thrill them with amazing hog roast Uckfield dining. But if the thought of having hog roast meat on rolls being served to everyone sound a little less than the formal catering you wanted, don’t panic. There is a way round this. The hog roast hire Uckfield caterer is a clever chef and knows just how to get the very best out of every hog roast they cook. 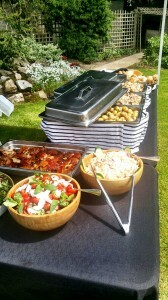 Hog roast is very versatile and can provide the perfect solution for formal and informal occasions. Yes, most people know hog roast from having pig on a bun at birthdays and other easy going events – and they are truly splendid – but for a corporate event where the company MD has his beady eye on you, you really need to pull out all the stops. Hence, the gourmet hog roast meal. A quite brilliant way to serve up hog roast without a roll in sight. The chef will professionally carve your hog roast to provide incredibly smart looking slices of meat which will plated up with potatoes, apple sauce, crackling and an assortment of vegetables to produce one of the best looking and greatest tasting corporate event meals you will ever experience. If ever a meal was going to get you that long awaited promotion then this is it, and as for the adoration of your fellow colleagues, you will be heading in the right direction. But hog roast is more than simply great looking, great tasting food. This is Uckfield, economics too. Corporate dining is expensive and with companies looking to save a money all the time, corporate events are one are that suffers, but it doesn’t have to be that way with hog roast. You see, hog roast is one of the very best value for money options out there. Here you have a quality meal that uses the very best locally sourced whole pig, cooked beautifully for six hours by your very own chef and that is quite capable of serving well over one hundred guests with amazing tasting hog roast meat. You could spend a little bit less and get a completely bland and boring solution….but why bother. This is a meal that could actually boost morale and lead to better results! Everyone is a winner with hog roast. Go on, give your boss and your colleagues and event to remember with an Uckfield hog roast. If you have ever been in the position of having to organise a big work event then you will know that there are lots of people to potentially impress or distress! The burden that is placed on the shoulders of the work event organiser is a huge one, and probably greater than that when organising an event for family and friends. After all, your family love you regardless of what you might achieve but you probably don’t see them all every day. Your work colleagues however do see you most days and will be delighted to remind you at every available opportunity if you have done something wrong. 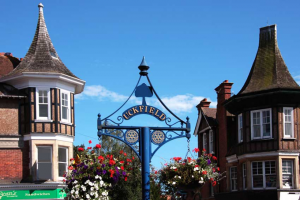 So if you have indeed been tasked with organising an Uckfield event, you had better make a good job of it or else it will haunt you! If you want to avoid the taunts and jibes from colleagues (and the inevitable call into the boss’s office following a poorly catered for event) then you really need to do your homework. If you ever been to Uckfield events in the past then you may have noticed that catering never seemed to be a matter of great concern for organisers but was also a matter of anger for guests. Poor catering equals disgruntled and hungry guests. But you can avoid this and one perfect solution would be to make your event a hog roast Uckfield event.